Tubulus is synonymous with simplicity. 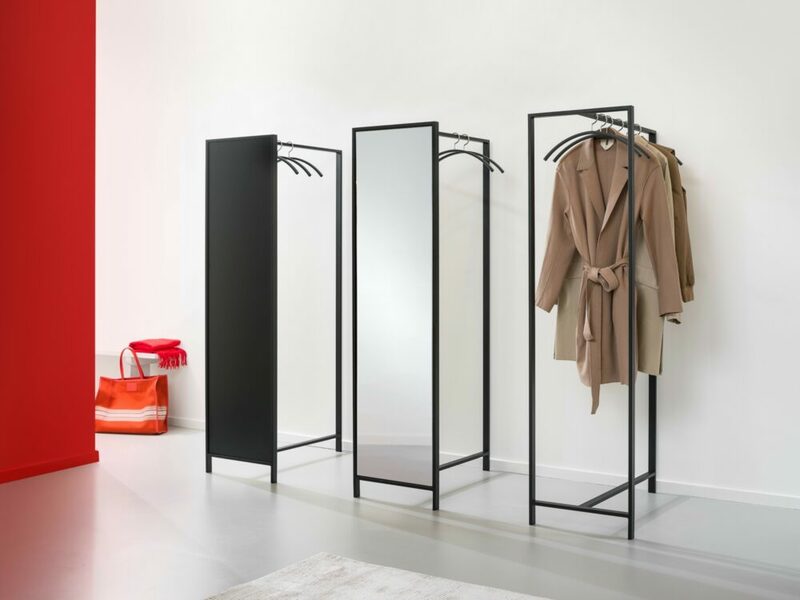 Thanks to this, the various models from this cloakroom range designed by Maxime Szyf and Gerard Kerklaan are easy to combine with different interiors. 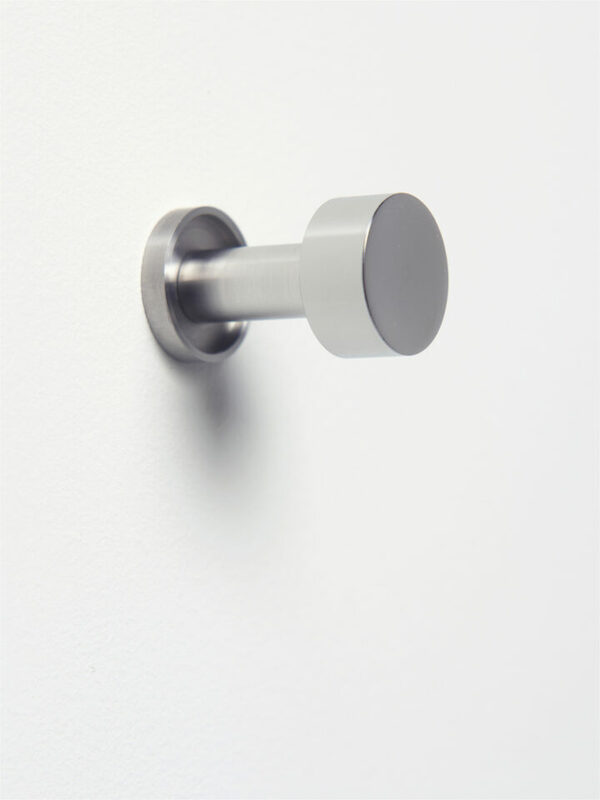 This certainly applies for the Tubulus H, a simple wall hook with a design pared back to the bare essentials. The Tubulus H is made from brushed stainless steel, the front has been polished to a high gloss. Ø 32 mm in brushed stainless steel. Front side polished stainless steel. Tubulus H excels in simplicity. This timeless classic looks good in almost any space. In the kitchen, fitting room, toilet or hall. A delicately designed brushed stainless-steel bar for coat hangers. Simplicity itself. That is the essence of the Tubulus T, a coat rack that is available as standard in lengths of up to 2 metres. 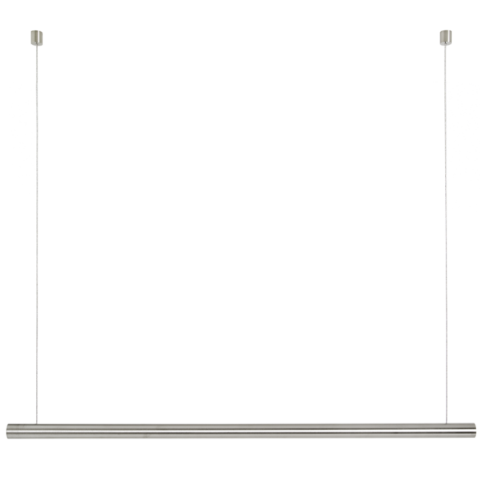 Instead of being secured to the wall, the Tubulus T is suspended from the ceiling with thin steel cables. 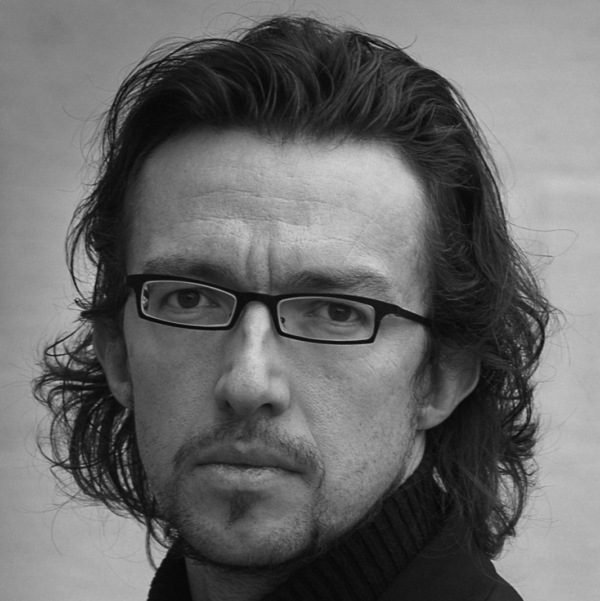 The Tubulus cloakroom range was designed by Maxime Szyf and Gerard Kerklaan. It can be made to measure if desired. Tubulus is synonymous with simplicity. Due to the subdued look of the wall coat rack Tubulus W the matching hangers really catch the eye. 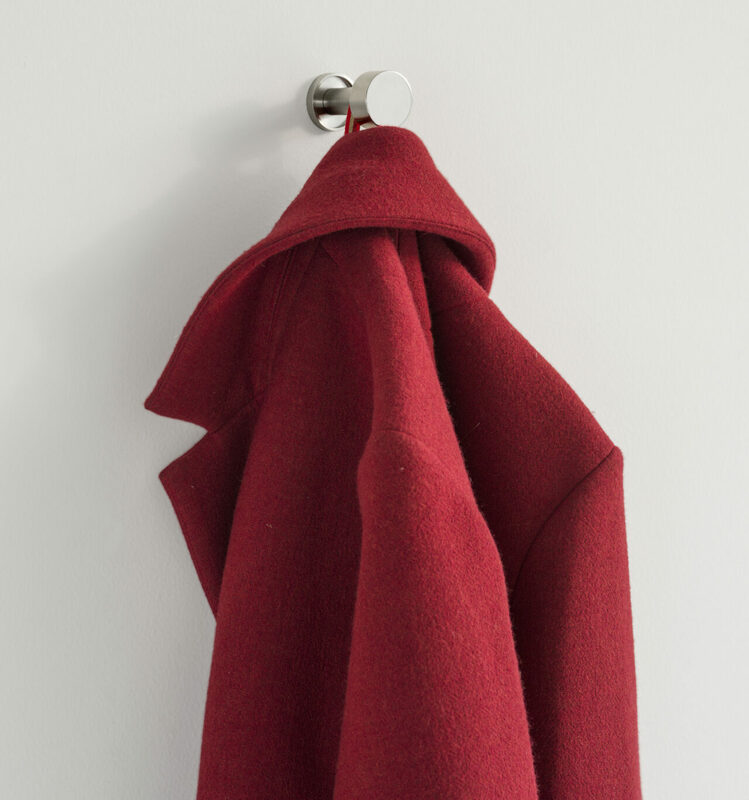 The wall coat rack is available as standard in three different lengths, in three different colours. The cloakroom series Tubulus has been designed by Maxime Szyf and Gerard Kerklaan. The modest design allows the various models in the series to be easily combined. Tubulus is synonymous with simplicity. Thanks to this, the various models from this cloakroom range designed by Maxime Szyf and Gerard Kerklaan are easy to combine with different interiors. 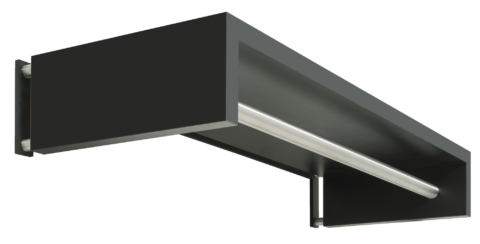 This certainly applies for the Tubulus H10K, a simple wall hook with a design pared back to the bare essentials. 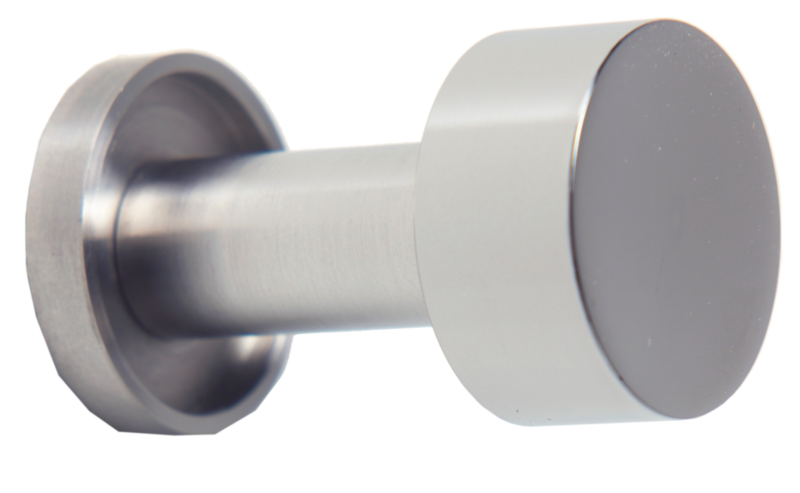 The Tubulus H10K is made from brushed stainless steel, the front has been polished to a high gloss. The Model Tubulus H10K is provided with a single Tubulus 80 coat hanger. 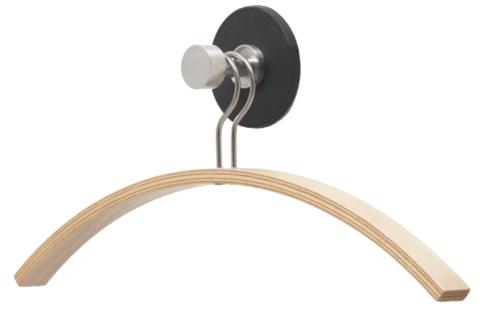 Tubulus HK Magnéfique is the magnetic variant of Tubulus H10K, a wall coat rack for one coat hanger. The design has gone back to the fundamentals. Tubulus HK Magnéfique is made from brushed stainless steel, with the front polished to a gloss finish. The various models of the cloakroom system designed by Maxime Szyf and Gerard Kerklaan can be easily combined. A delicately designed brushed stainless-steel bar for coat hangers. Simplicity itself. 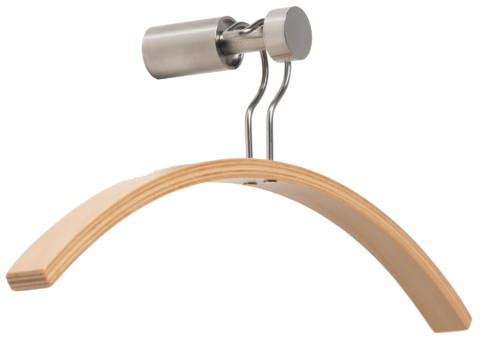 That is the essence of the Tubulus TW, a coat rack that is available as standard in lengths of up to 2 metres. The Tubulus cloakroom range was designed by Maxime Szyf and Gerard Kerklaan. It can be made to measure if desired.